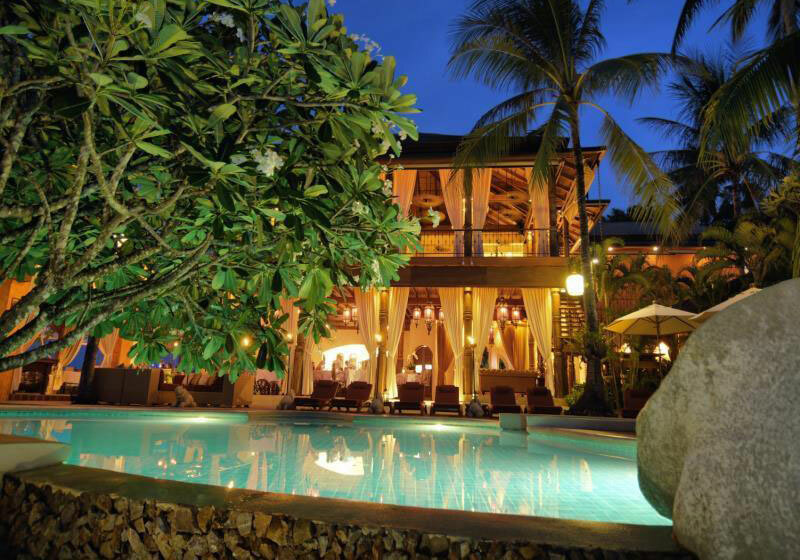 Ideal for fun and relaxation, Zazen Boutique Resort is located in the Bo Phut area of Samui. The excitement of the city center is only 1. Km away. For sightseeing options and local attractions, one need not look far as the hotel enjoys close proximity to The Wharf Samui Community Mall, Buffalo Fighting Stadium, Samui Go-kart. At Zazen Boutique Resort, the excellent service and superior facilities make for an unforgettable stay. Guests of the hotel can enjoy on-site features like free Wi-Fi in all rooms, 24-hour security, daily housekeeping, gift/souvenir shop, taxi service. The ambiance of Zazen Boutique Resort is reflected in every guestroom. television LCD/plasma screen, mirror, slippers, internet access – wireless, internet access – wireless (complimentary) are just some of the facilities that can be found throughout the property. The hotel offers fantastic facilities, including canoe, golf course (within 3 km), outdoor pool, spa, massage, to help you unwind after an action-packed day in the city. Zazen Boutique Resort is a smart choice for travelers to Samui, offering a relaxed and hassle-free stay every time. Short Description: Ideal for fun and relaxation, Zazen Boutique Resort is located in the Bo Phut area of Samui. The excitement of the city center is only 1. Km away. For sightseeing options and local attractions, one need not look far as the hotel enjoys close proximity to The Wharf Samui Community Mall, Buffalo Fighting Stadium, Samui Go-kart.